Here's some new music to tingle to your earbuds. Originating from North Carolina, singer and American Idol contestant Chris Daughtry has had quite a career. 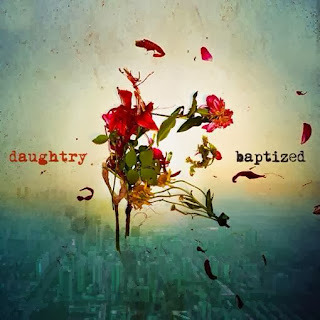 With various albums and tours under his belt with his band DAUGHTRY, the guys have worked hard to create quite possibly their best album yet, Baptized. Their fourth studio album contains the hits Waiting For Superman and Long Live Rock & Roll. This album is different to their other work with a different sound, but I quite like it and I think fans of other rock bands and DAUGHTRY fans alike will too. Baptized is being released on 18th November [UK] and 19th November [US]. You can pre-order Baptized on Amazon UK , Amazon US and you can even stream the album in its entirety HERE.